From time to time we have guest contributors on our Blog. In this instance, it is Jamey King of Point Central. 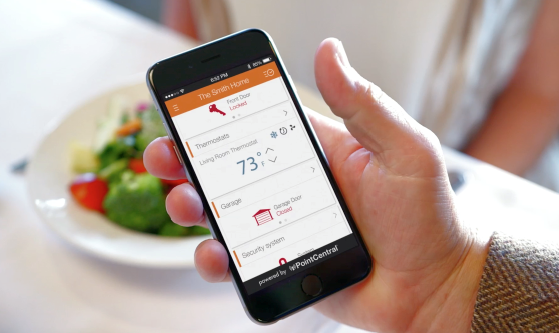 ess Smart Home solutions in their rental properties, vacation rental managers who haven’t already installed Smart Home are realizing they could lose control of the locks and thermostats in their homes, and lose their guests to competitors. While these trends may be the catalysts that drive the VRM to investigate Smart Home, it’s often the operational efficiencies that ultimately seal the deal. When VRMs install smart locks, they not only eliminate the headaches associated with managing keys, they also enjoy not having to send someone to a property to open the door for a guest who is locked out. Now, all they have to do is pull up their Smart Home mobile app, access the property, and send an unlock signal to the lock. This not only saves considerable time and expense, it also impresses the guest.A big advantage with the PointCentral solution is that all of this happens via the cellular network. A smart communications hub installed in every property connects every PointCentral device in the property to the cellular network, thus eliminating the need for a Wi-Fi connection. This architecture, proven in more than 5 million homes in the U.S., is much more reliable than Wi-Fi, which often requires a manual restart. Vacation rental managers are also benefiting from the real-time intelligence provided by today’s advanced smart home automation systems. From a centralized online dashboard or mobile device, users can see the real-time occupancy status of every property based on the arrival and departure lock codes entered by the guest. Plus, the checkout code can automatically send an alert to housekeeping, which in turn automatically alerts an inspector after the property is cleaned. In addition to every guest being automatically provided with a unique lock code for their arrival, the temperature in the property can be automatically set to a comfortable level and return to an energy-saving temperature upon departure.